To have a successful hypnosis session the customer must want to quit smoking and then trust the hypnotherapist. Without these two components the hypnosis session will not be successful. As has been said time and time again the customer must want to quit smoking. It’s like all things in life, if you don’t want to you wan’t. It’s surprising the number of people that come to a quit smoking session that don’t want to quit. It seems a bit bizare but a lot of people come to a quit session because their partner has basically forced them to come. In this situation nothing will get the person to quit smoking. It is really important to trust the hypnotherapist. This trust has to be built by the hypnotherapist before the session, without this the hypnosis session will be unsuccessful. 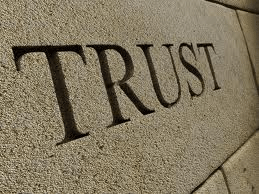 Trust is built up by the hypnotherapist when he/she explains exactly what is going to be done and how the process will work. All hypnosis is self hypnosis so trust is essemtial. If you do not feel that you can trust your hypnotherapist then the session will just not work. 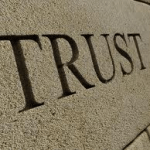 Trust is not just in the hands of the hypnotherapist because it is just as important that you as the customer have the mindset that the session will work and that you will trust the hypnotherapist. Want to quit smoking and trust your hypnotherapist and there should be no worries that the quit smoking session will work. Next Why do Farmers Grow Tobacco?